This short tour offers great opportunities to travel in some of the famous regions of Colombia. 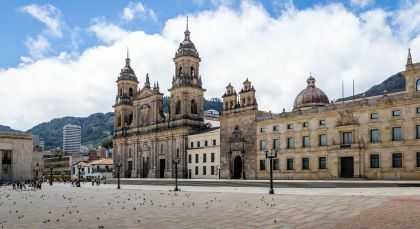 Your journey begins in bustling Bogota, where centuries old colonial history beautifully combines with a buzzing cultural scene. In the Coffee Region, expect leisurely days spent amid verdant mountains and rolling valleys, your favorite cuppa in hand. 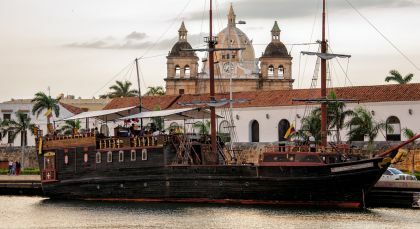 End your tour in ageless Cartagena, where the ancient Old Town rubs her magnificent shoulders against tall skyscrapers and modern lifestyles. 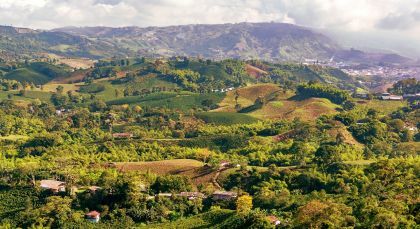 Take an informed, deliciously caffeine-induced journey through the UNESCO World Heritage site at Colombia’s Coffee Region. Learn everything there is to know about the globally loved Colombian coffee on this guided day tour. The region’s altitude, soil quality, moisture levels and a host of other geographical factors make it the best stretch of plantation land for growing the aromatic, mild and balanced coffee beans that the country is known for. Get to know all about planting, harvesting and processing Arabica and Robusta coffee beans in these lovely plantations. Sample a variety of this well-loved beverage and learn to recognize distinct coffee bean characters and tones under expert guidance. Savoring a steaming cup of coffee could never get better than this! (Half Day, Morning Tour; Private Activity & Transfer; Fitness Level: Easy; Please bring comfortable walking shoes). Beginn the day visiting the lovely town of Finlandia before heading to the Cocora Valley to discover the Quindío wax palm tree, Colombia’s national symbol and tree. Set at an altitude of over 2,000 meters (above 6,500 feet) this beautiful cloud forest is part of the Los Nevados National Natural Park. An easy, hour long trek through a lush landscape leads you into the heart of this valley. You can take a lunch break in a charming little restaurant overlooking the valley, on your way down, before heading back up to the picturesque little town of Salento. Take a leisurely walk through the streets to reach up to the vantage point of Alto de la Cruz, for a mesmerizing, panoramic view of the Cocora Valley spread out beneath, surrounded by the Andean mountains of the Los Nevados National Natural Park. (Full Day, Morning Tour; Private Activity & Transfers; Lunch not included; Fitness Level: Moderate; Please bring comfortable walking or trekking shoes).